Have you ever thought about joining Roller Derby but haven’t had the time or worried about the skill it takes? Did you know that the average skater on our league had little to no skating experience (outside some middle school roller rink time) before joining derby in Los Alamos? It’s true. 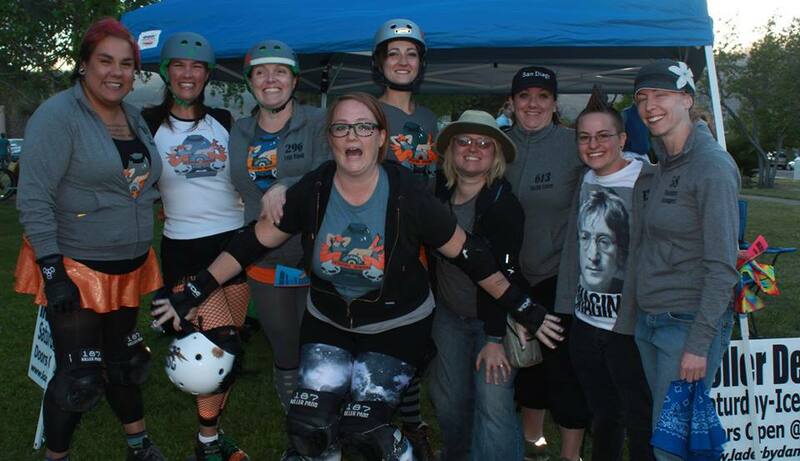 Roller Derby is a sport that is open to anyone interested in learning more about what they might be capable of physically, mentally or within the community. We have training programs that are tailored to teach you the basics of roller skating in preparation for playing Roller Derby. If you have never skated before, or just want to learn more, we encourage you to come to any of our practices and ask questions or just try on a pair of skates. We take women of all ages and skill level regardless of athletic background. You can come skate weekly as part of your fitness routine, or take it to the next level and try out for our competitive team. Regardless of where you are at right now, we can coach you and help you reach your goals. This goes for you guys too, we will teach you skating basics and you can join our other on-skates officials. There are many opportunities both locally and regionally for a willing referee, and our refs are dedicated to making sure that Los Alamos and the surrounding community have the best officiating staff available now and for years to come.